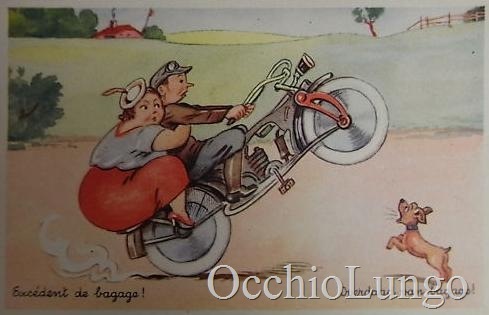 This is Part Four of our series on motorcycle passenger accommodations. Click the green links to see the earlier articles…. 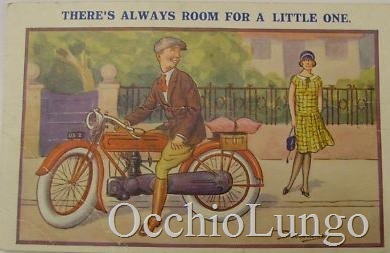 After the wicker trailers and forecars had been popular,the wicker sidecar was next. 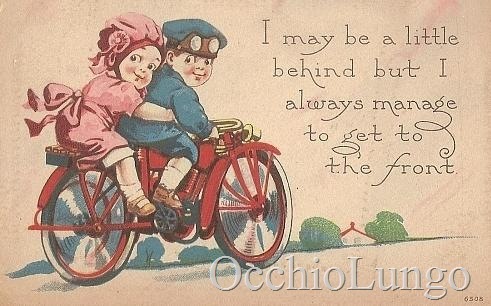 But eventually it was eclipsed as the rear pillion seat came into fashion. 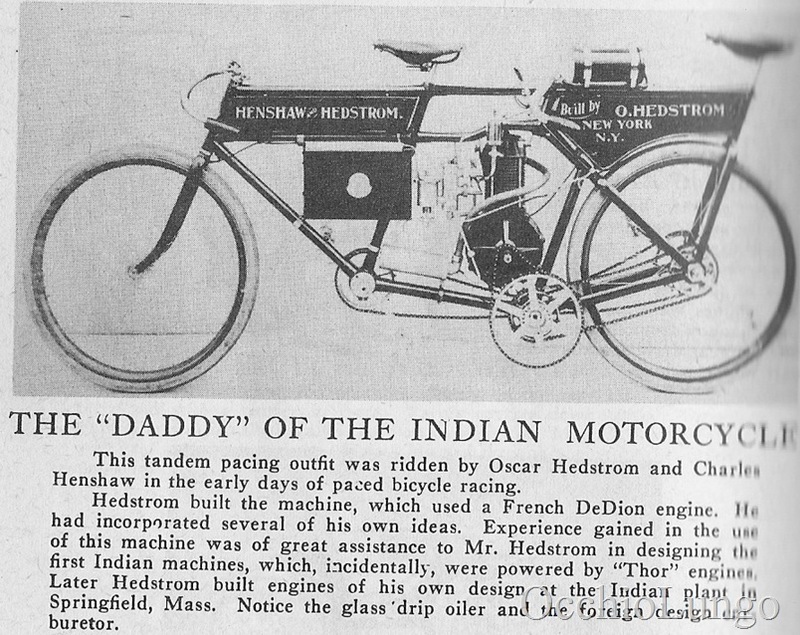 It had obvious advantages, including a very low cost, and the handling of a two wheeled vehicle instead of three. And we cannot overstate the appeal of having our passengers sitting closely behind us! Fairly quickly the forecar was forgotten, as the trailer had already been. 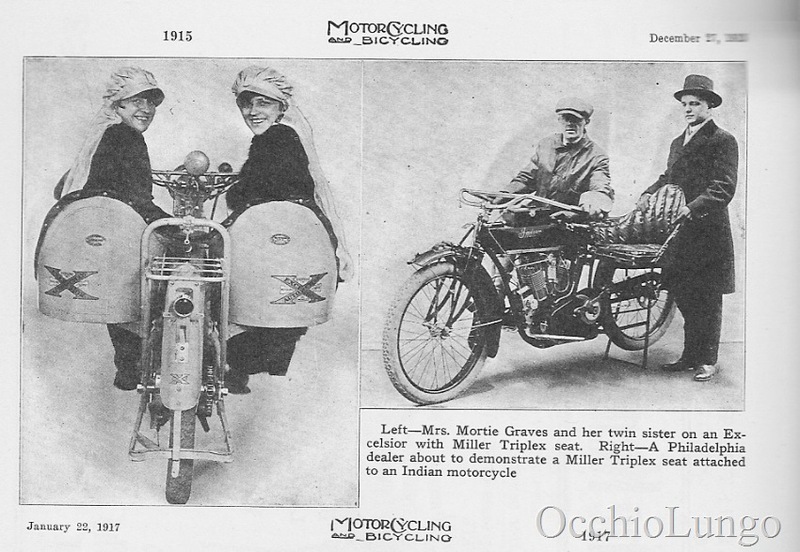 The sidecar stayed as an option for motorcyclists even today, but was never used in the quantities of the pillion seat, and later the dual seat. A trivia tidbit: Velocette was the first maker to use a dual seat in 1937, as invented by their memorable engineer Harold Willis. Nicknamed the Loch Ness Monster, it was ugly but functional. 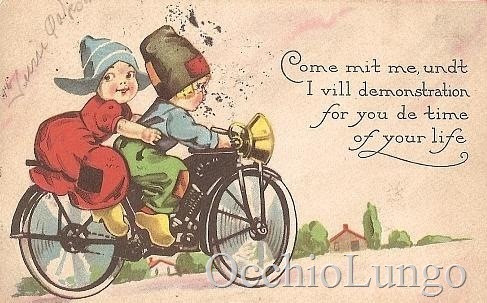 Come with me and I will demonstrate for you the time of your life. 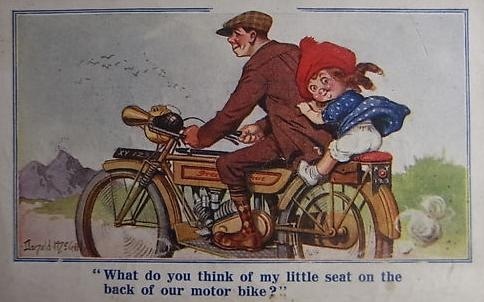 Pillion seats were not very common before WWI, although they did show up occasionally. The UK motoring press at the time did not like them at all! Each week, the magazines had numerous letters and editorials condemning the practice of sitting on the package rack due to perceived danger. Almost unanimously, they stated that the passengers were in great danger, and that they led to a loss of control by the pilot. 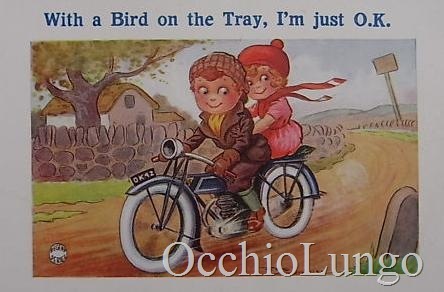 And readers told stories of seeing young pretty flapper girls who would just hop off her perch on the package tray while the bike was riding around a bend. 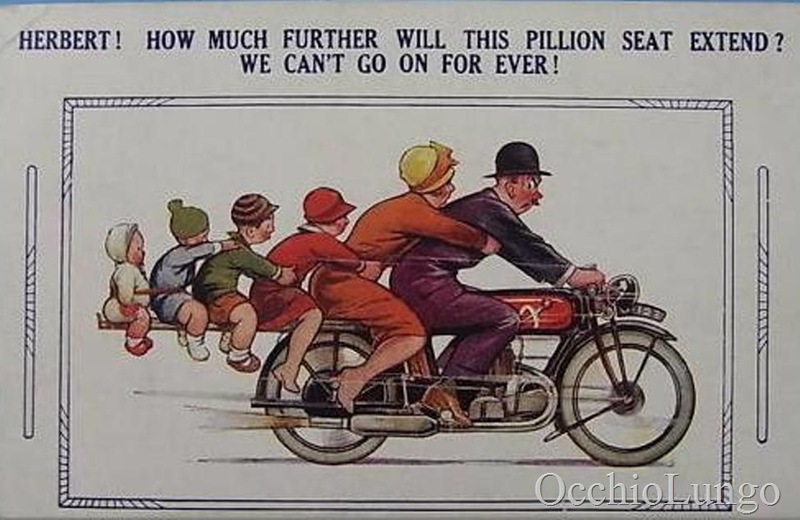 Yet the sale of pillion seats continued to escalate… I suspect that a vocal minority hoped to squash the use of pillions, while the average rider (who might be lucky enough to have a friendly female) rather enjoyed having one. And in the inter-war era, money was tight. 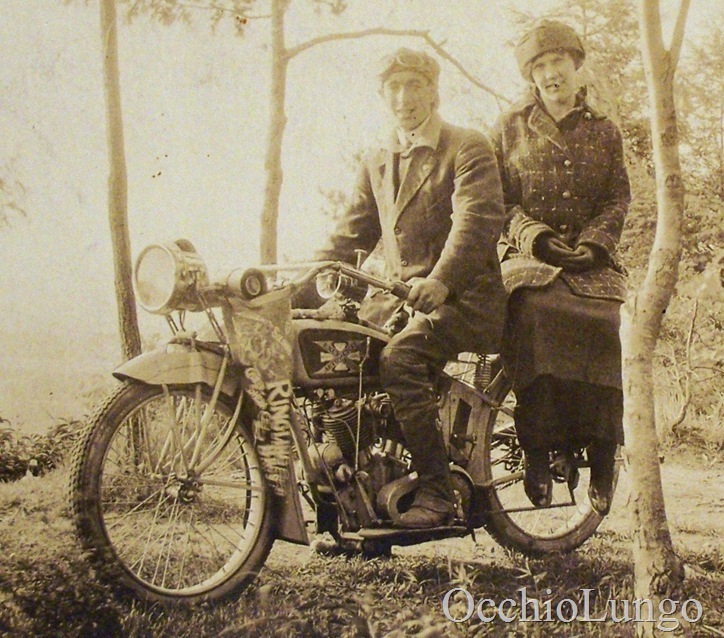 A cheap leather pad (maybe with springs under it) allowed two people to travel down the road with much less cost than a car or a sidecar. 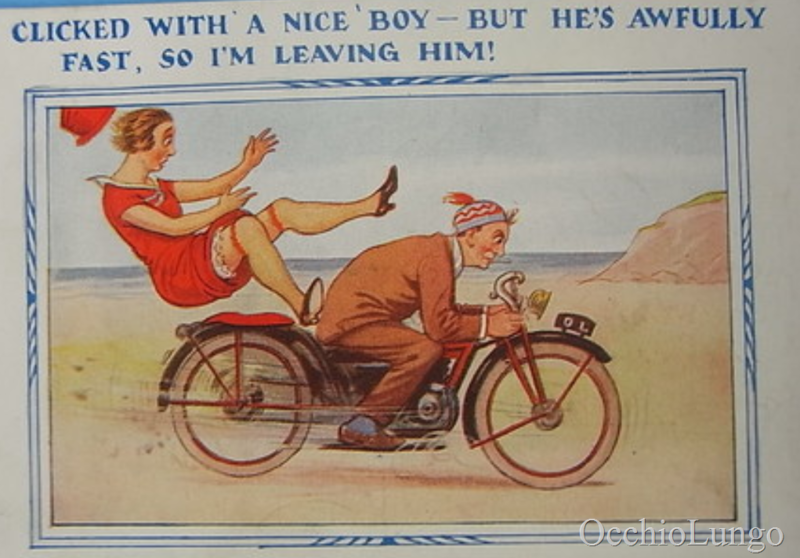 There might even be a few quid in the budget to purchase some universal-fitting aftermarket footpegs for the lady. From the Ringling Brothers Circus. 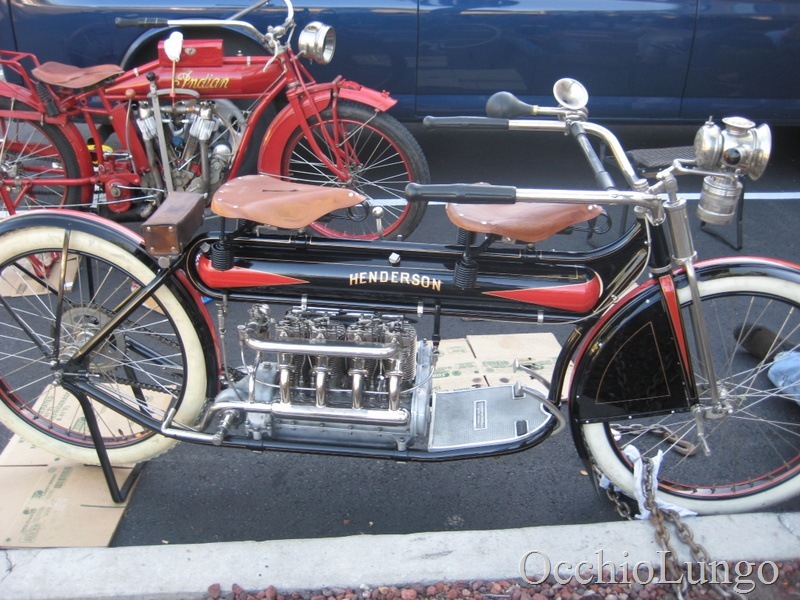 A 1915 Excelsior with a side-saddle passenger on the rear rack. 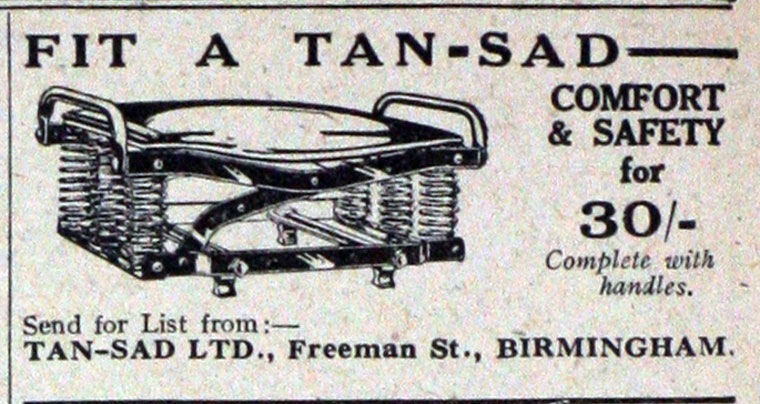 Tan Sad was a popular brand of seat in the UK through the 1920s. 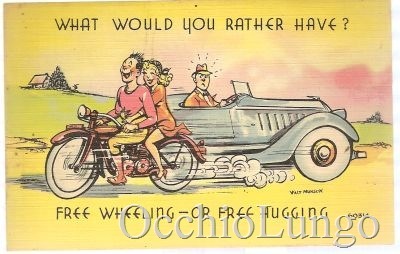 We have one fitted on the 1925 Rudge for the kids to ride on. 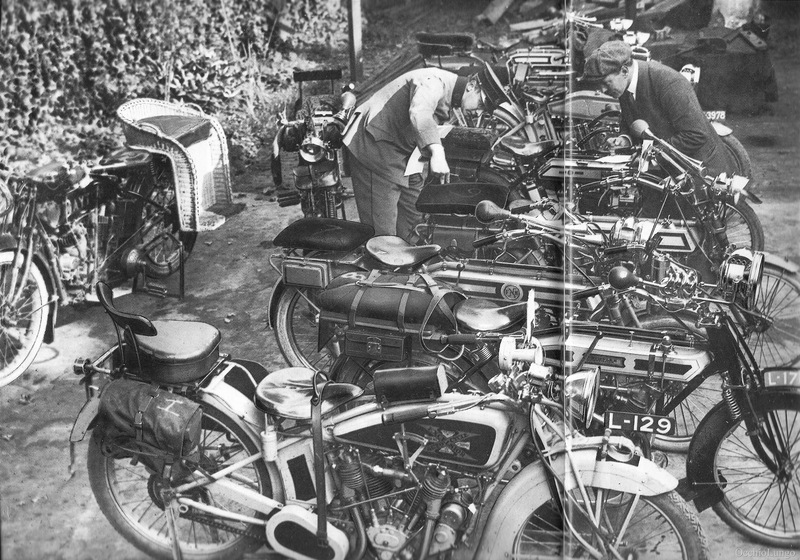 This photo from The Motorcycle magazine of 1915 (and reprinted in May 2011) shows a great assortment of bikes with pillion seats fitted. It was taken during a 70 mile test of the seats. The photo is poor, but the variety of bikes is outstanding. There are a Dayton, Excelsior, FN, Rudge, Pope and others. And the variety of passenger saddles is visible, with some being side-saddle mounting, and construction of wicker, leather, canvas, etc. Also from America is this circa 1916 Henderson rear seat. 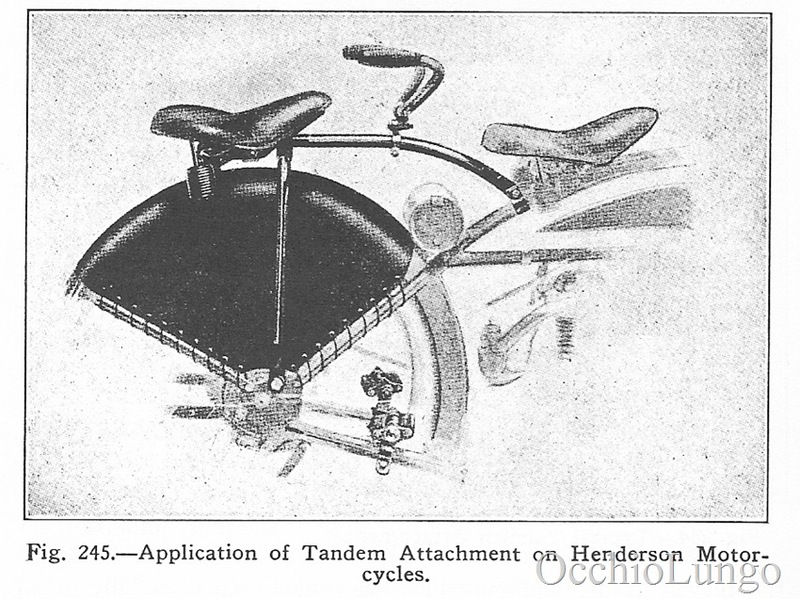 But speaking of Henderson, we cannot ignore their early seats that were placed in front of the pilot! This oddball is a tandem seat of seats. 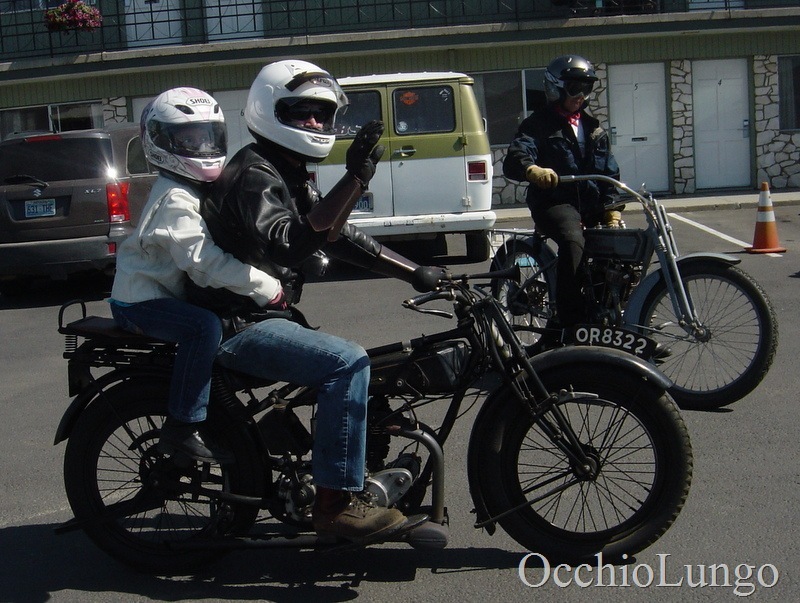 Not really a pillion setup, but very interesting. It seems to require two people though. I wonder if a single person could ride the bike while sitting off to one side. The photo with the Dayton ,Excelsior, FN ect. It has a 2 speed gear a bit like Enfield and P&M had. Who could have guess that passenger seating could be so interesting?!! The old illustrations are great too. These aren’t full size pillion seats, but there were child seats made that attach to the front of the driver’s seat on scooters. 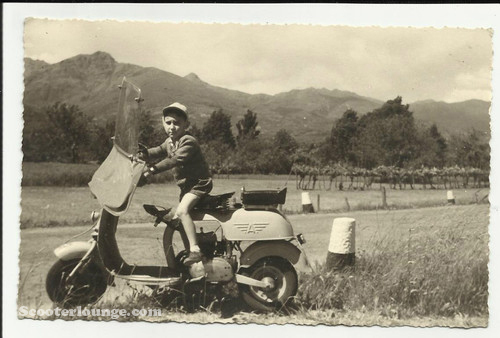 The scooter boom was after WWII, so these are likely not contemporary with your examples. 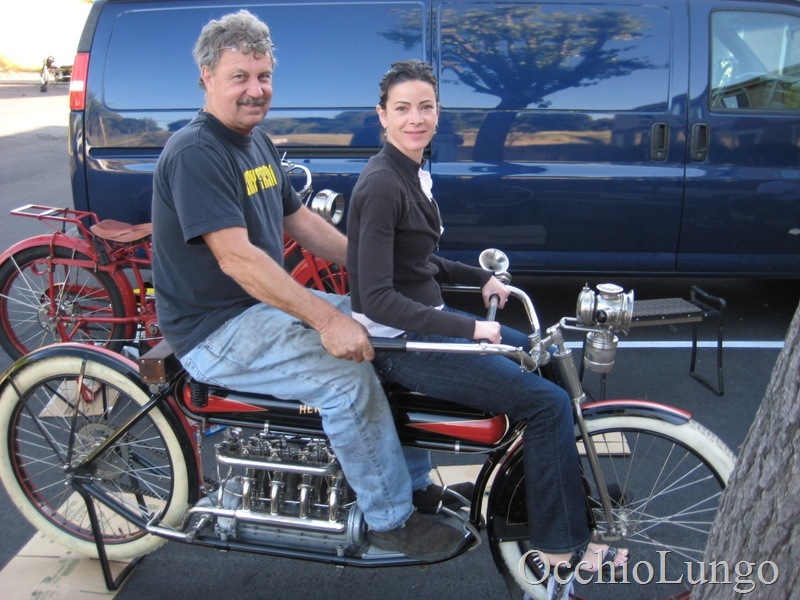 When we supplied a 1912 Triumph to the BBC for the Crimson Fields TV drama, they insisted on a pillion seat. 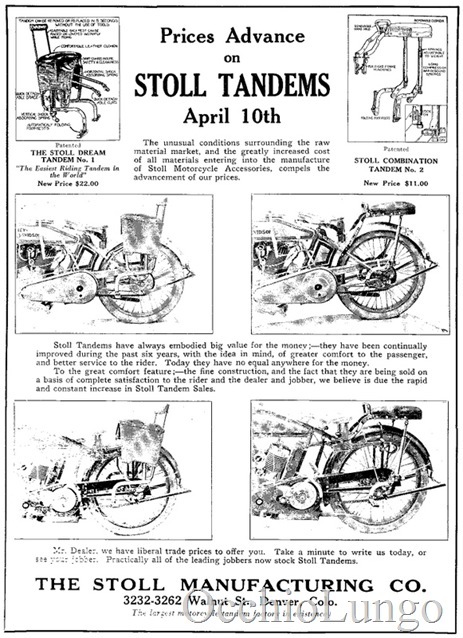 I fitted the pillion pad off my 1929 Triumph to the carrier, and bolt on folding footrests, but they never used the seat in filming.